Good afternoon everyone! I hope you are all having a wonderful week and have a fun fall filled weekend planned out. 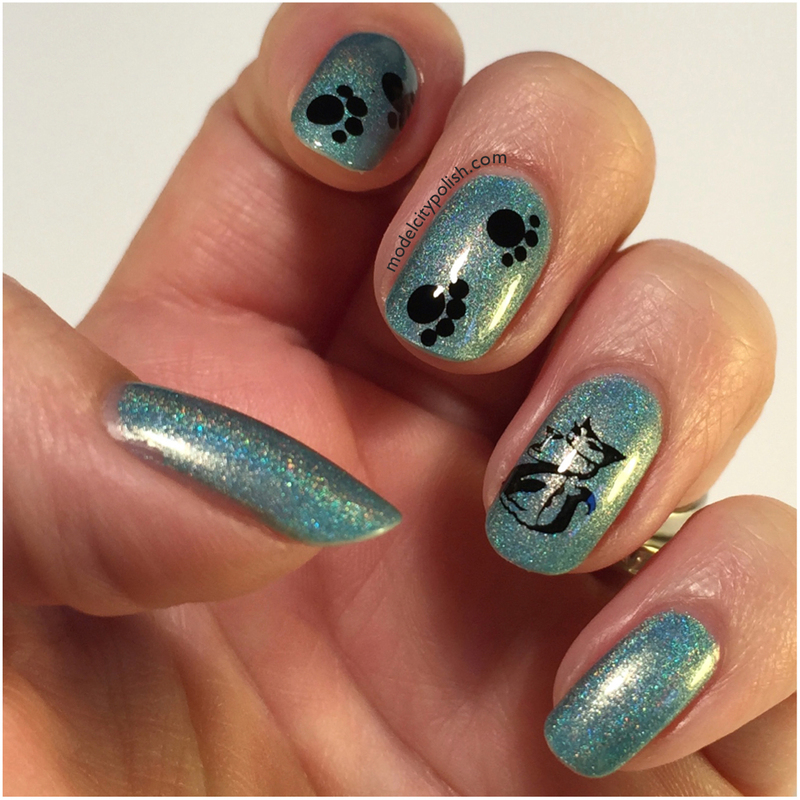 Today I am back to share a manicure consisting some of my favorite things, holographic blue and kitties, and equals out to an adorable manicure! 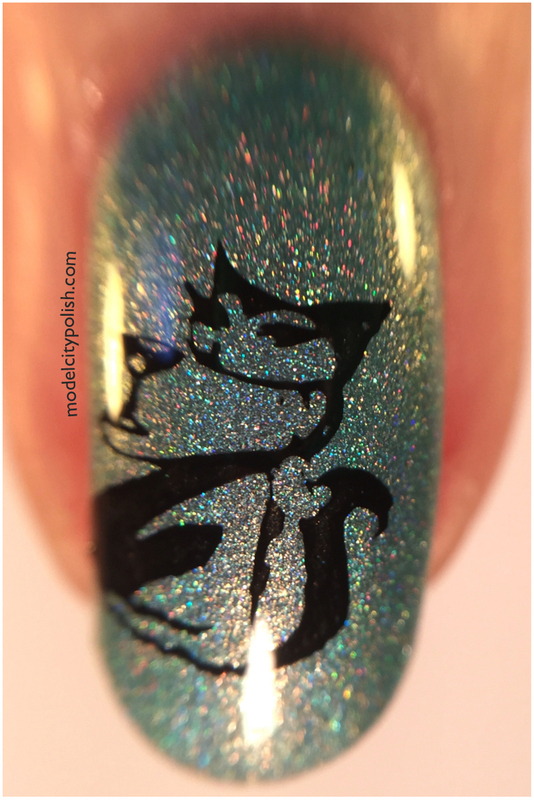 First up I started with three coats Above the Curve Ultra Holo Turquoise to create a lovely holographic base. 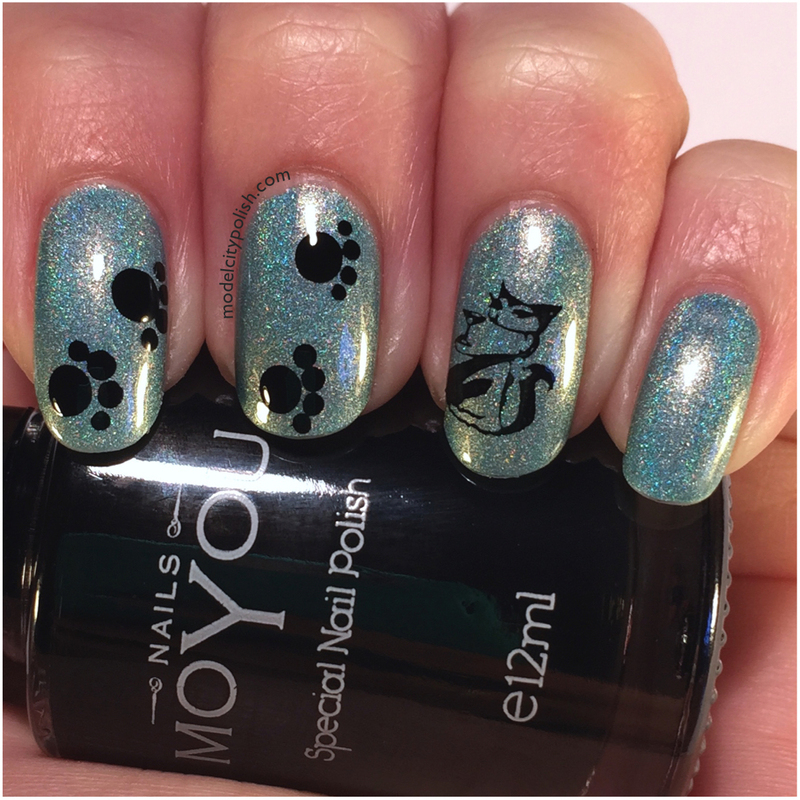 Next up I used MoYou Nails Plate 65 and MoYou Nail Black stamping polish to add a very sophisticated cat accent, isn’t he the cutest?! 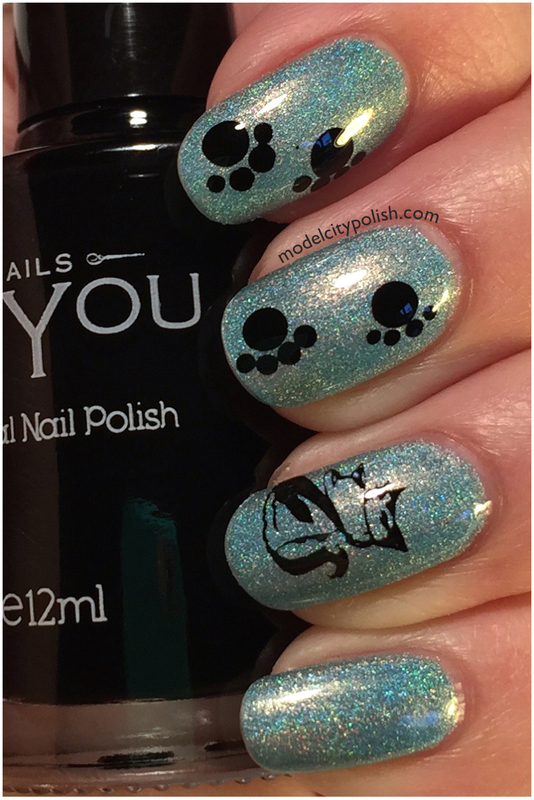 Now to add some cute paw prints, I used MoYou Nails stamping polish and my dotting tools to create these cute prints. I will say that dry time for the prints was fantastic and I had no streaking when applying my top coat. I sealed everything with a coat of Glisten & Glow HK Girl Top Coat. These products were sent to me for review but that does not influence my end opinion.